Our zero clearance fireplace grate is made especially for freestanding fireplaces. 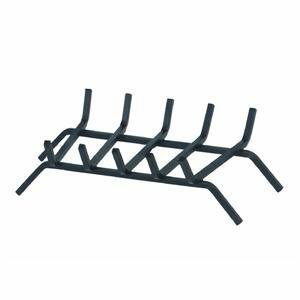 The fireplace grate is made of 1/2" steel bar stock, with a high temperature black painted finish. 20" front size, 18" back size, 12" deep. 5 bars to hold your firewood or logs.